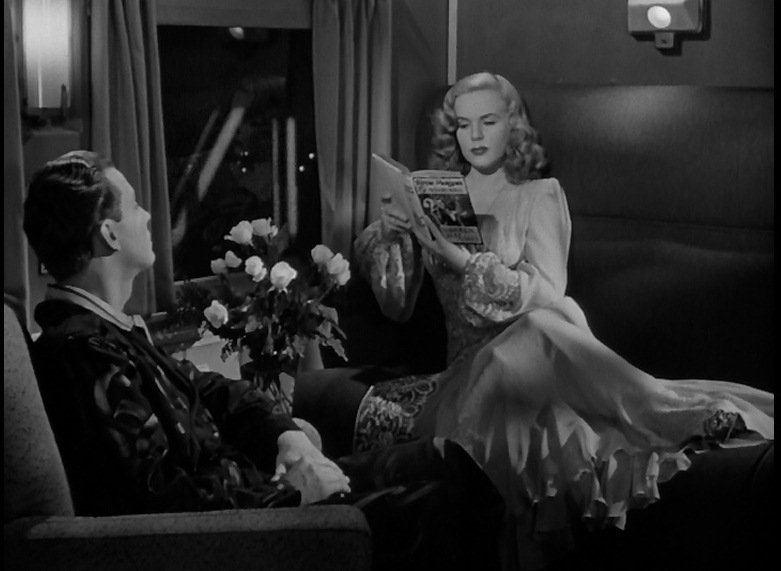 For a movie with “Train” in the title, scenes of a railroad nature are quite scarce. 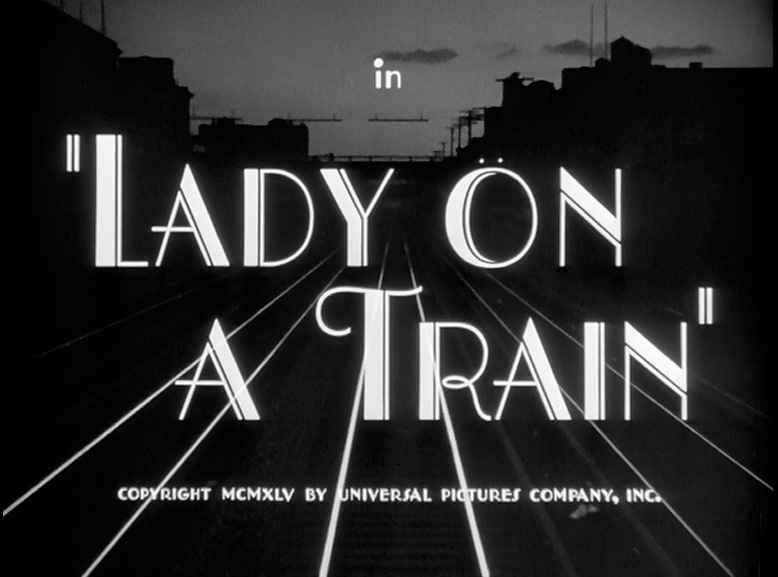 The opening and first five minutes, along with the finale of this picture, constitutes the entirety of this flicks’ train hype. Fortunately, the film itself is actually quite enjoyable. 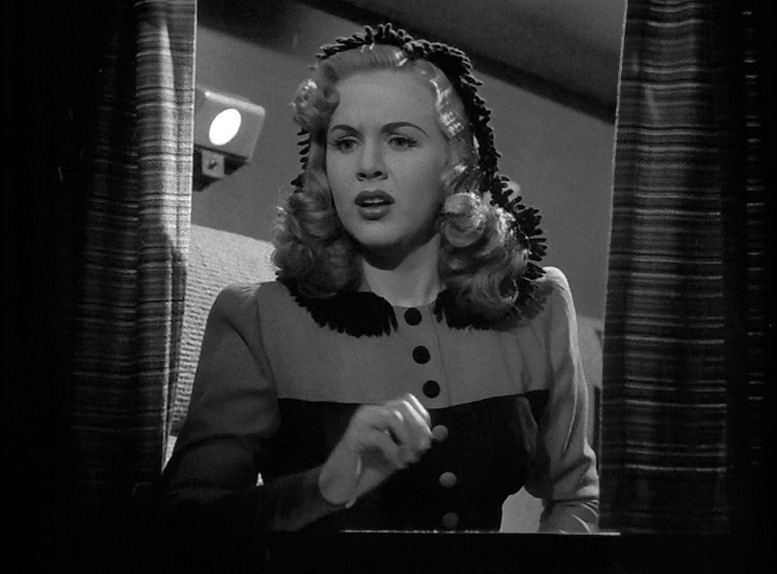 Starring Deanna Durbin as “Nikki Collins”, the opening credits roll as a locomotive cab ride down the four-track New York Central Railroad mainline approaching New York City. 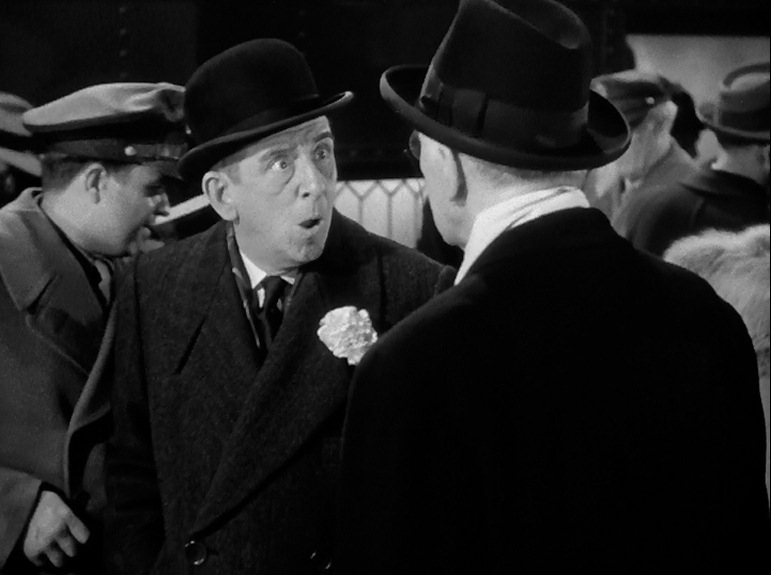 Edward Everett Horton as “Mr. 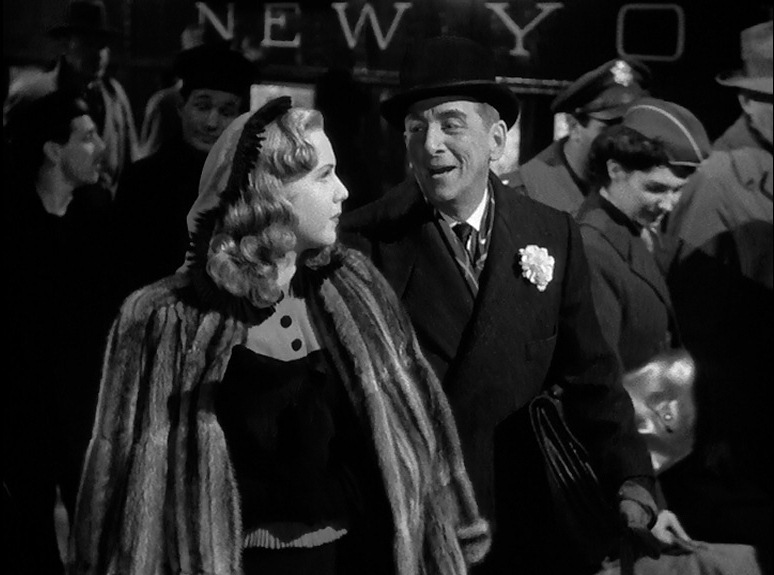 Haskell” does a double take on the station platform as he waits to meet Nikki Collins. With an impressive 179 actor credits in IMDb, I prefer to fondly remember him as Chief Roaring Chicken on F-Troop. 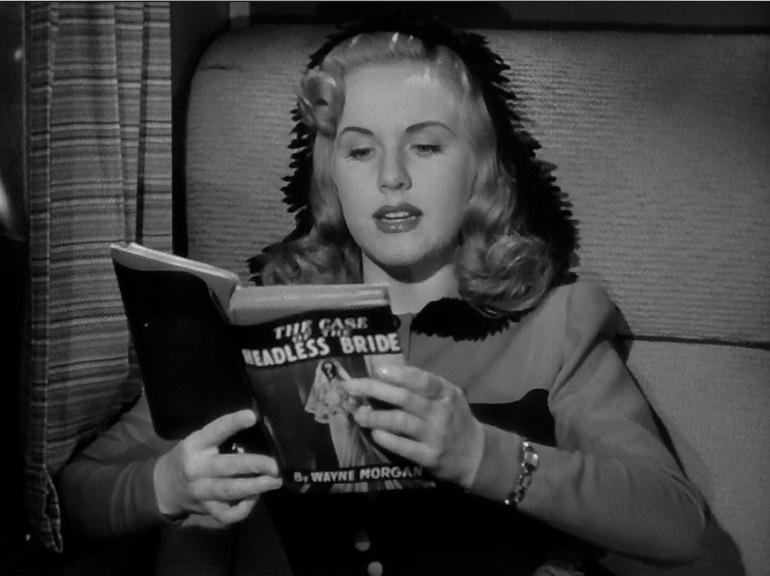 Nikki is reading a particularly gruesome part of her novel out loud, “The Case of the Headless Bride” by Wayne Morgan to herself; Peeking out the window of her bedroom on an NYC heavyweight sleeper with a box of chocolates by her side. 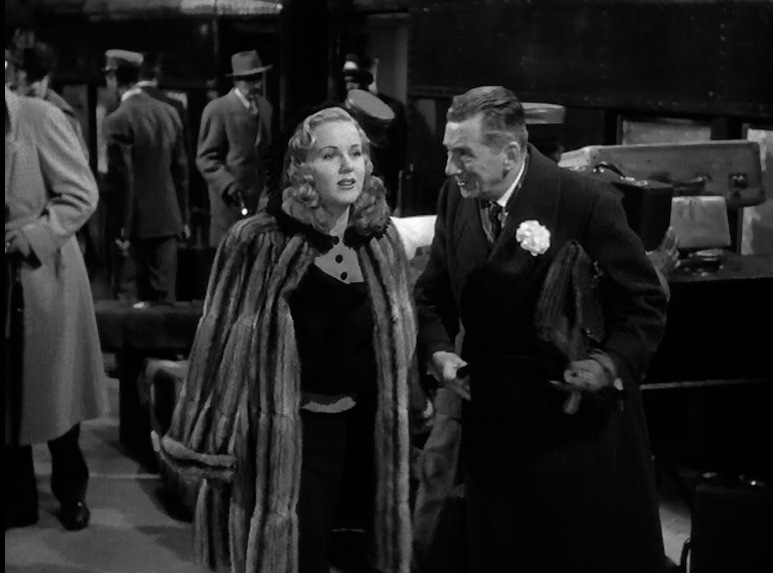 Nikki’s train stops at a small station — where Nikki can see two men arguing; Look out! He’s got a crowbar! 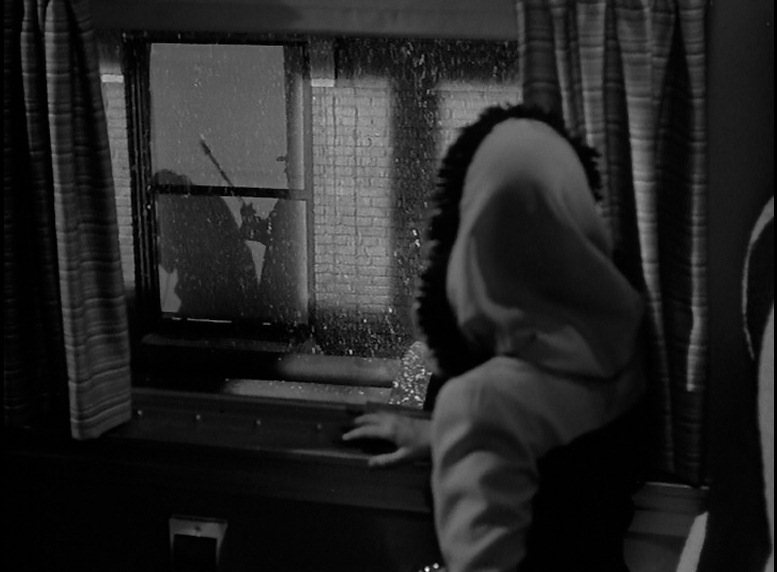 The killer discreetly pulls down the shade before clobbering his victim; Reaction shot of Nikki through the window of her sleeper. 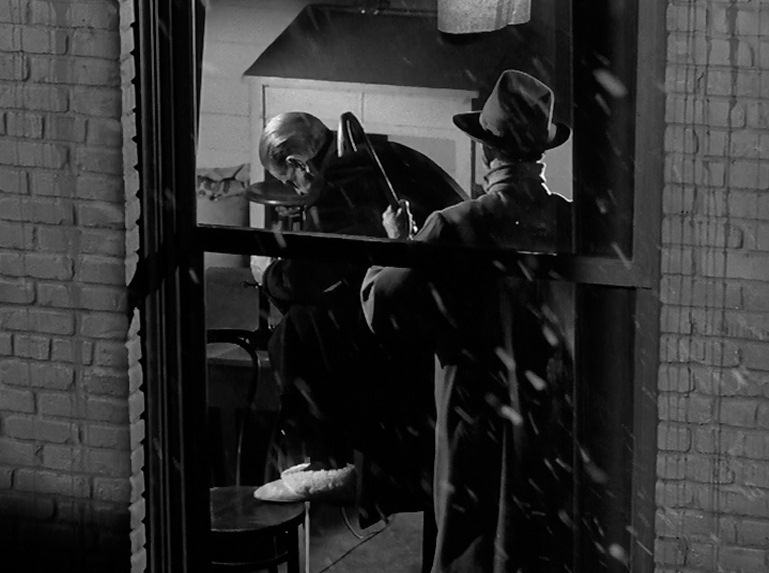 A good view of a Pullman Conductor looking at his pocket watch while Nikki tries to calculate where the murder took place (how far they’ve come). View down the corridor – note the water cups and dispenser in the corner. 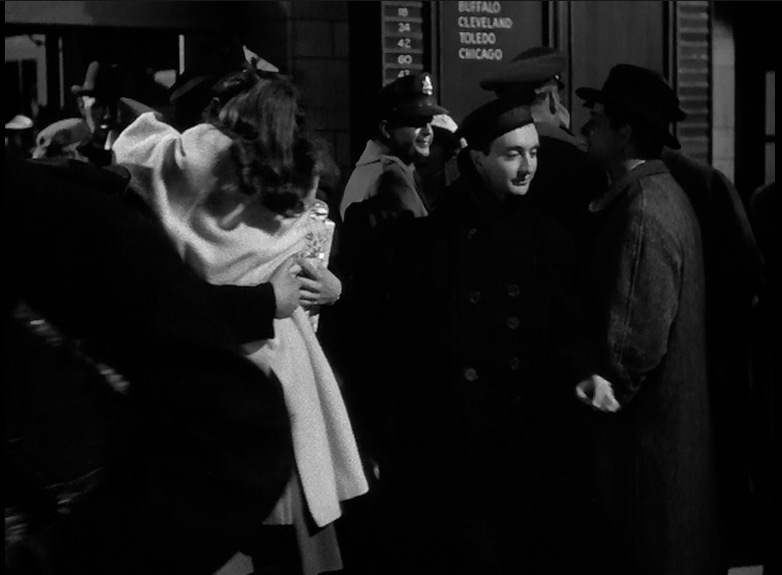 It may just be a set, but Grand Central Station is well represented with NYC heavyweight cars, high-level platforms, piles of baggage, and, of course, wisps of steam; Mr. Haskell chats up Nikki as they walk into the terminal. 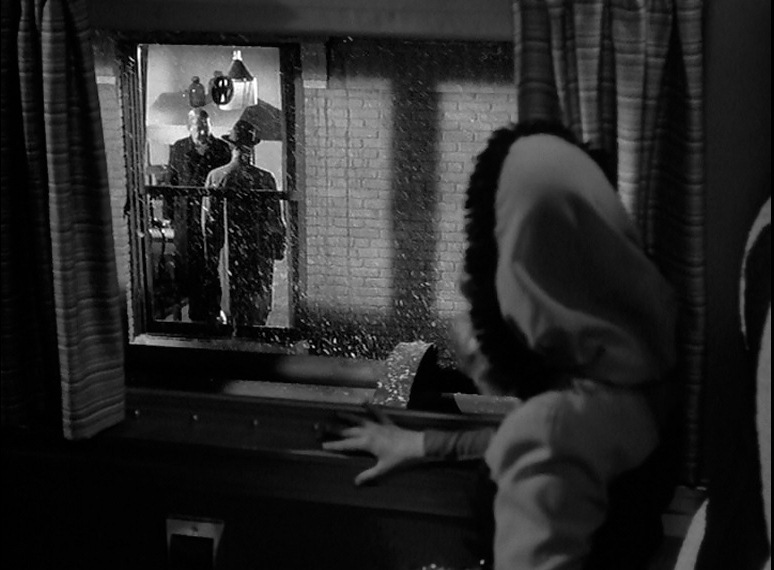 As Haskell and Nikki exit to the left, we get a brief view of the train board. I’m not sure if those numbers are a train or cars on a train. They are all even which would be eastbound (arrivals) if they were trains. Most of the movie left out here. Skipping ahead to the finale (train ride OUT of New York). Nikki is now reading, “Case of the Green Hat” by Wayne Morgan. 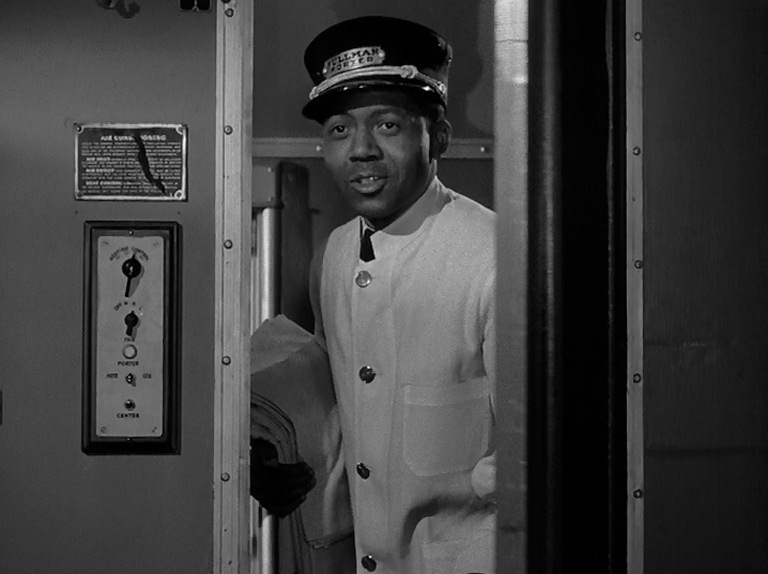 That’s Wayne Morgan sitting across from her (played by David Bruce); Good detail shot of a Pullman Porter and wall switches in the compartment bedroom. 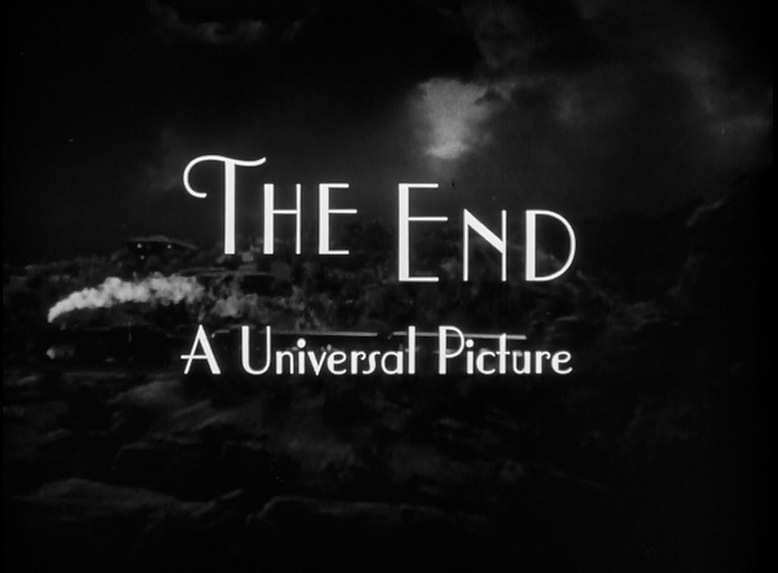 Morgan gives away the ending of his book to Nikki’s dismay; “The End” is a shot of a model train (complete with smoke) rolling across the screen. 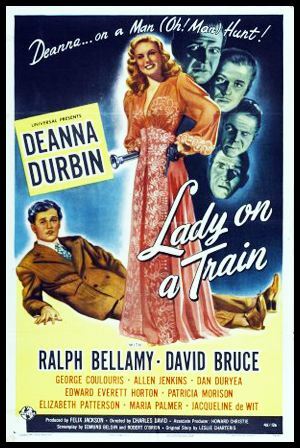 This entry was posted in Uncategorized and tagged Deanna Durbin, Edward Everett Horton, Grand Central Station, Lady on a Train, New York Central Railroad, New York Central System, Pullman, Pullman Sleeper, Universal Pictures. Bookmark the permalink.